The dramatic increase in the number and types of devices connected to corporate networks has created new vulnerabilities for enterprises. At the same time, new kinds of Advanced Persistent Threats (APT) have posed more-destructive threats to steal competitive information and damage companies. In today’s evolving threat landscape, enterprise IT practitioners can’t afford to ‘sit tight’ with traditional approaches to their security infrastructure. Read this white paper to gain insights on new kinds of threats including DDoS and APT attacks as well as new challenges to network management and visibility. 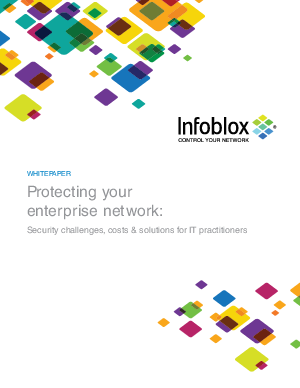 Learn 5 specific solutions IT practitioners need to address these challenges by reading this white paper today.